Greetings back and welcome here in our old-fidelity world. Athens in GA close to CNN city Atlanta, right? or Athens in Greece? (02.11.2013, 18:09)nice2hear schrieb: Greetings back and welcome here in our old-fidelity world. Actually greece , thanks Peter. Welcome here and enjoy your time - I think most of us are also fine with English - otherwise there's always somebody to translate, no problem. 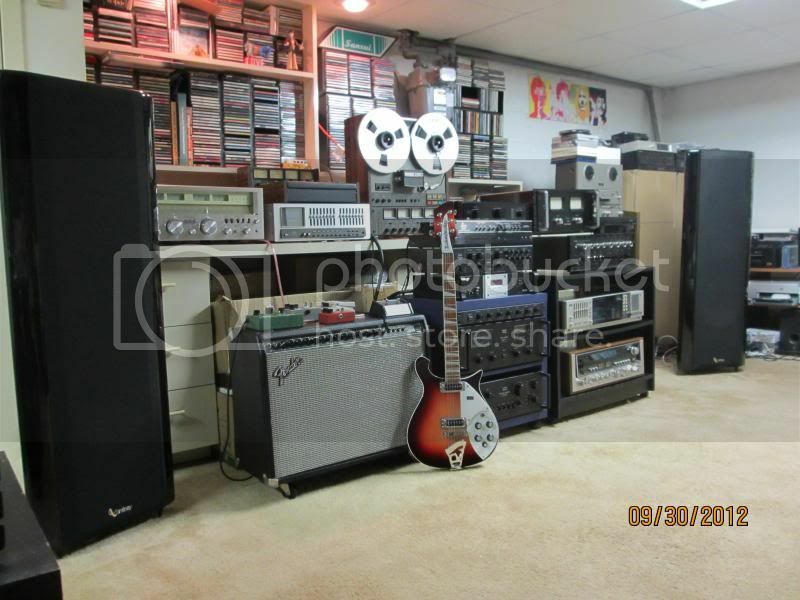 Very nice Sansui & Co-Setup btw...and what a beautiful Rickenbacker 620! 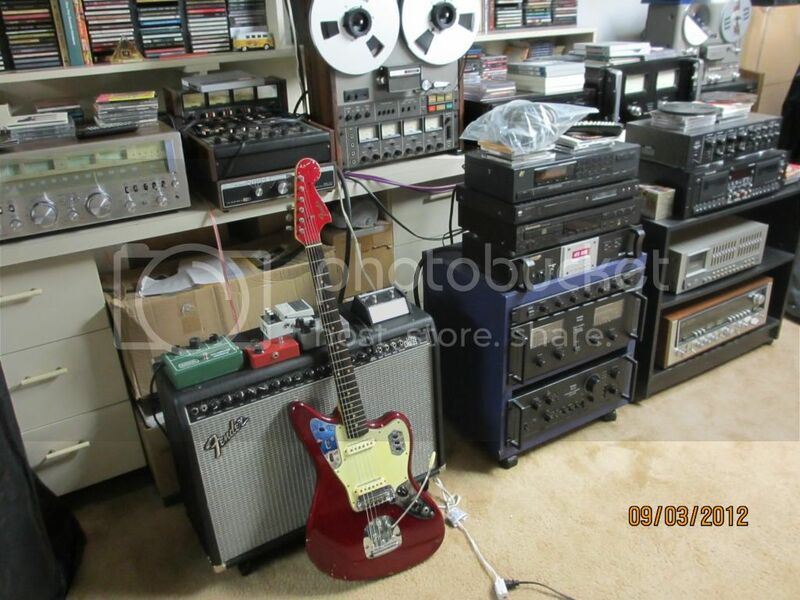 Noooice stuff - used to have a 80ties Fender Jaguar Bass-Guitar I bought in a thrift-store for about 200 DM (100 €/120,- $?) when I was 18... not really capable of playing it - but it was something to keep your hands busy while you were singing in front of a crowd with your Highschool-Band. Good old times! Nice to see some old known guys from the net , like beatlefred from sansui and beyond, along with some others from AK , in here. Hi guys, John from Athnes as i said before. I;ll be updating my profile here soon. Is a value that SANSUI did have , actually tons of it.This is one thing i figure out watching those beautifull pictures in here. If i don't get to be quite boring to you guys i will explain or speak of sansuis quality in this thread, having watched this company from the inside , specially from the service corner (site), but, also as a regular neighbor -friend , in the begining. Seeing , watching , this picture , only one thing comes to my mind. : These people were in love with their machines. They really were adoring theme. Gerhard, dein Bulli steht bei Fred im Regal, gesehen? Und weil's bald soweit ist: kali orexi! Hi Gerhard , sorry my german is not sufficient, but i will try my translator , so i can get a clue on what is written. Indeed this amp is made for life. I still am looking for one in pristine condition. Who knows. In the meanwhile i'm cooking something. If it turns out good i'll be posting here first. For now kalispera. = good afternoon. Hi guys. Yes, kali nichta is good night. Now it seems that i won the auction and the SR 929 is mine. Well at least that was writen in the mail i received. There are only a couple of matters that need to be adressed. 1) there are two instead of four feet. 2) Headshell is not the original one. 3) It probably is 100v since all japanese machines were made 100v. The last one is not actually a problem. I will connect a step down transformer 230 to 100 and all are good. The headshell might take me some time to find. Probably i will find it though in the well known places. The feet thing scares me though. I'm freaked out in the thought that table will have to be leveled otherwise. Any ideas? Where could i find 4 feet , or even 2? Any known shop or service center in germany? i know that germany was like mekka for sansui in europe. Actually my c,b 2301 , and my sony dat za 5es where bought from ebay.de .